Xiaomi has launched their device in the Phablet category the Redmi Note which was announced today and the company has bought some great news too with the launch of the phone which is including a new variant which sports 4G support and comes with a Snapdragon 400 processor instead of a Mediatek processor. The Redmi Note 4G will be having similar specifications to the Redmi Not except of the processor part where the regular model will be sporting a Mediatek octa core processor and the Redmi Note 4G will be having a Qualcomm Snapdragon 400 processor. Both the devices come with a 13MP rear camera and 5MP front facing camera and have 2GB of RAM along with 8GB of internal storage which can be expanded to 32GB using microSD card support. The device runs on Android Kitkat 4.4 with MIUI skin. It is powered by a 3100 mAh Li-ion battery which is going to support fast charging as well. The Redmi Note is a Dual SIM version and will be running on Android Jelly Bean but the Redmi Note 4G version will support only Single SIM and will be coming with Android Kitkat 4.4 out of the box and will be having a MIUI 6 upgrade as well shortly. 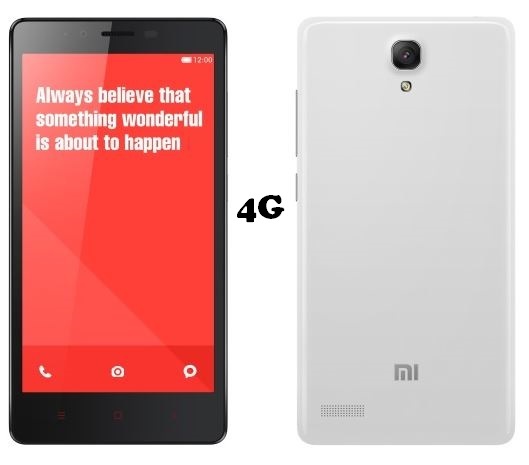 The Redmi Note 4G is 1k costlier than its normal variant being priced at Rs. 9,999 which will be available for sale in Flipkart and also in selected Airtel outlets around India. The Redmi Note normal variant will be available for Registration from 25th Nov and the sale starts from December 2nd. The redmi Note 4G will be going for sale from the later half of December and not from Dec 2nd. So if you want better processor and do not trust Mediatek processor but want a Snapdragon processor with 4G support then wait for the 4G variant and spend 1K extra to get your hand on this one.